1. Is there a cost for the estimate? 2. How long does it take to get an estimate? - On average, it takes approximately 1-3 days to get an estimate. An emergency situation could be sooner. - Yes, we carry Liability Insurance in case we damage your property and Workman’s Compensation Insurance in the event one of our employees gets hurt. We also have a valid license with the City of Evansville. This information can be verified upon request. 4. For how long do you honor the price quote? -We guarantee our price at least sixty (60) days. 5. Once approved, when can the job be completed? - We try to do jobs in the order received unless it is an urgent matter. 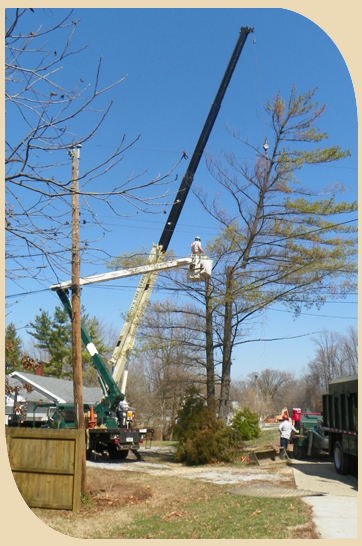 Smaller jobs can be done sooner than a large job that requires all equipment and manpower. Yard conditions dictate when some jobs can or cannot be done. It is best to confer with the estimator on specific jobs. 6. When is the best time to prune trees? 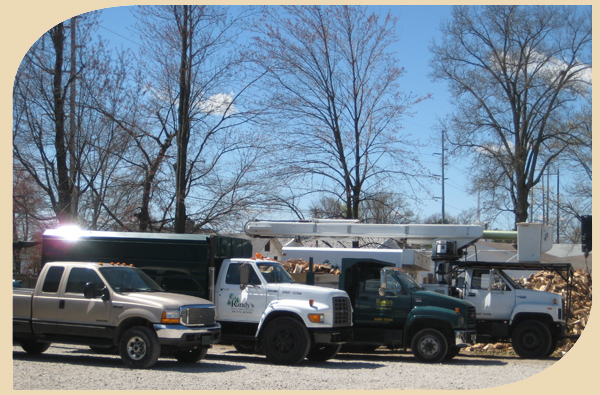 - Most varieties of trees can be pruned year round. 7. Will there be any yard damage? - We carry mats to lay in the yard in order to drive our trucks close enough to the trees. If we can’t use the mats, we schedule the job at a time when the yard is dry enough to not be damaged.